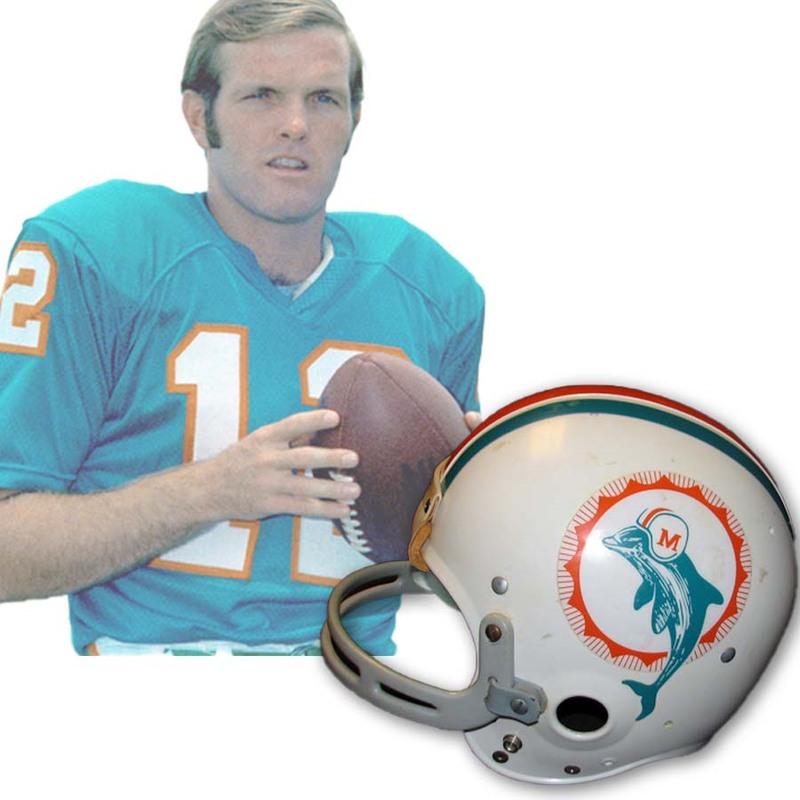 Though unable to improve upon the only perfect season in NFL history, quarterback Bob Griese led the Miami Dolphins to a 12-2 regular season record and a repeat as World Champions by trouncing the Minnesota Vikings 24-7 in Super Bowl VIII. 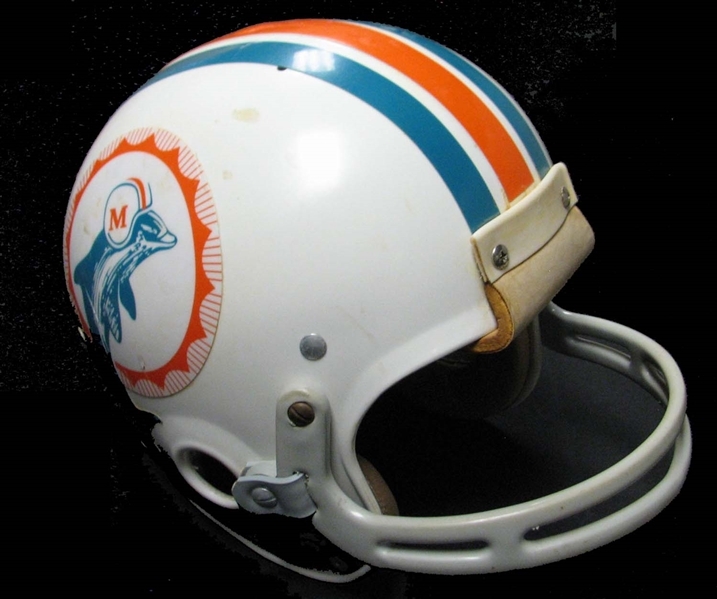 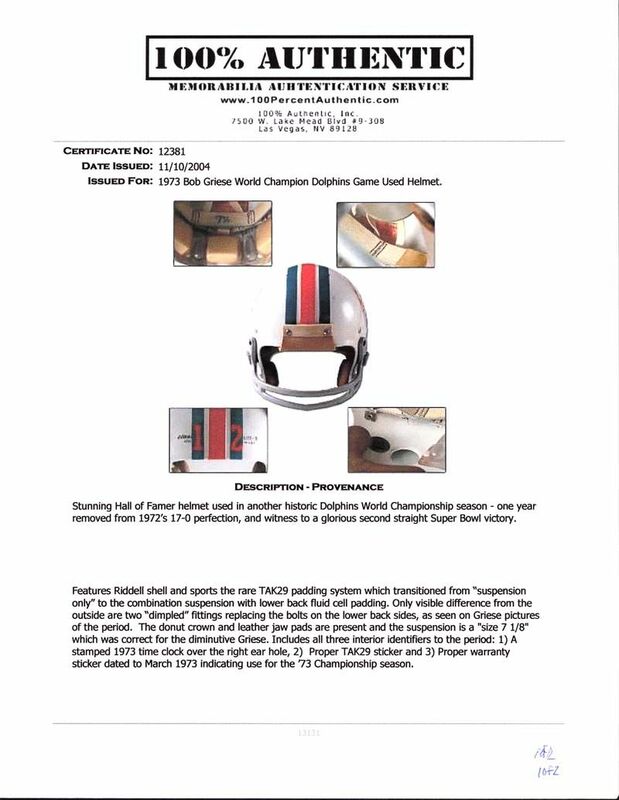 The featured Riddell helmet was game-used by Bob Griese during the 1973 season, as evidenced by various stains and marks scattered around the shell. 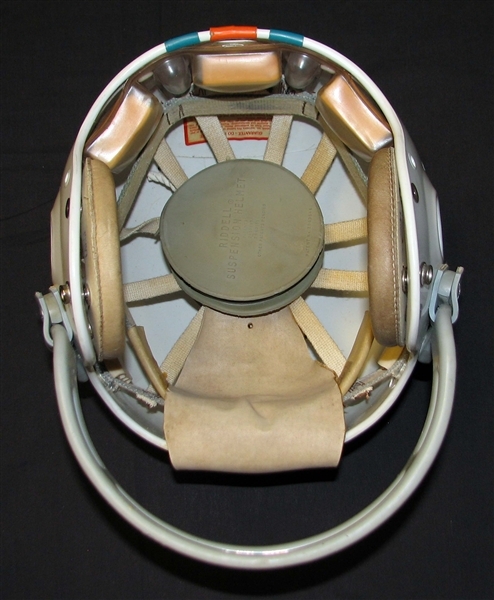 The helmet utilizes a unique TAK29 padding system, which combines the traditional suspension system with a lower back, fluid cell padding. 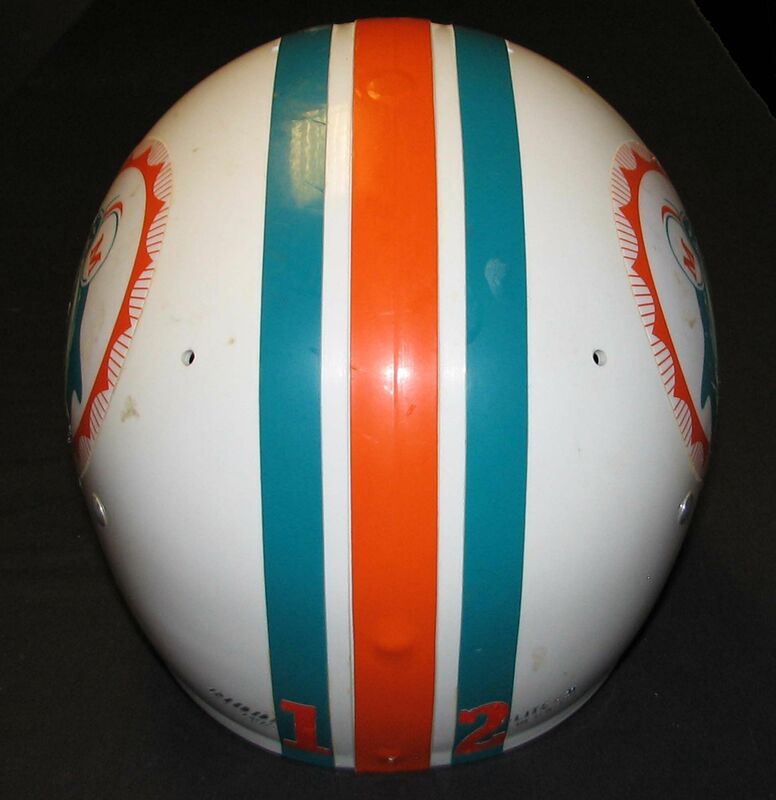 Dimples on the back of the helmet have replaced the bolts, which matches photos of Griese in action from that year. The donut crown and leather jaw pads are present, and the size, 7 1/8, is accurate for Griese. 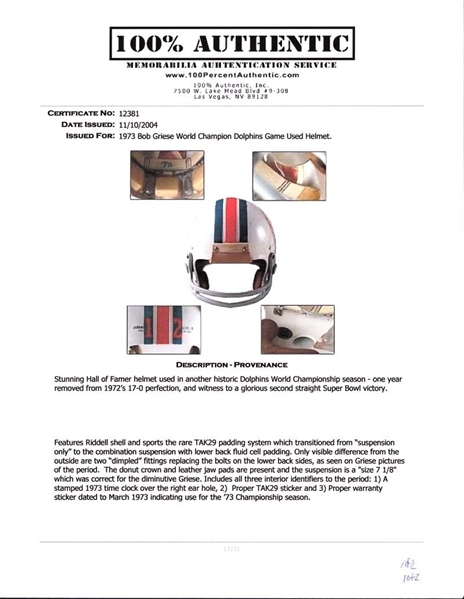 A stamped time clock over the right ear hole, proper TAK29 sticker, and warranty sticker dated to March 1973 indicates use during the '73 Championship season. 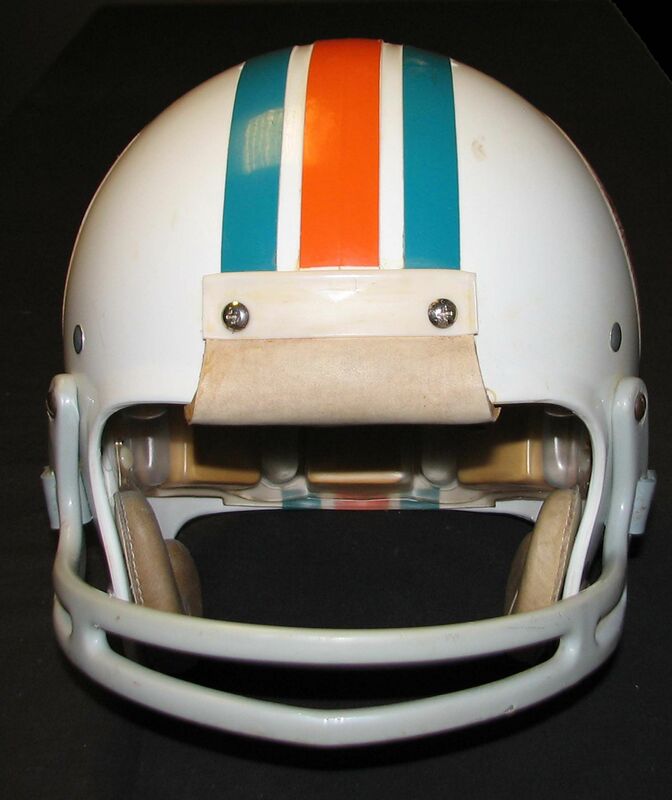 The uniquely fonted "12" appears on the back shell, and the facemask, screws, and forehead sweatband, which lacks the Riddell advertising per Griese's preference, are in fantastic condition. 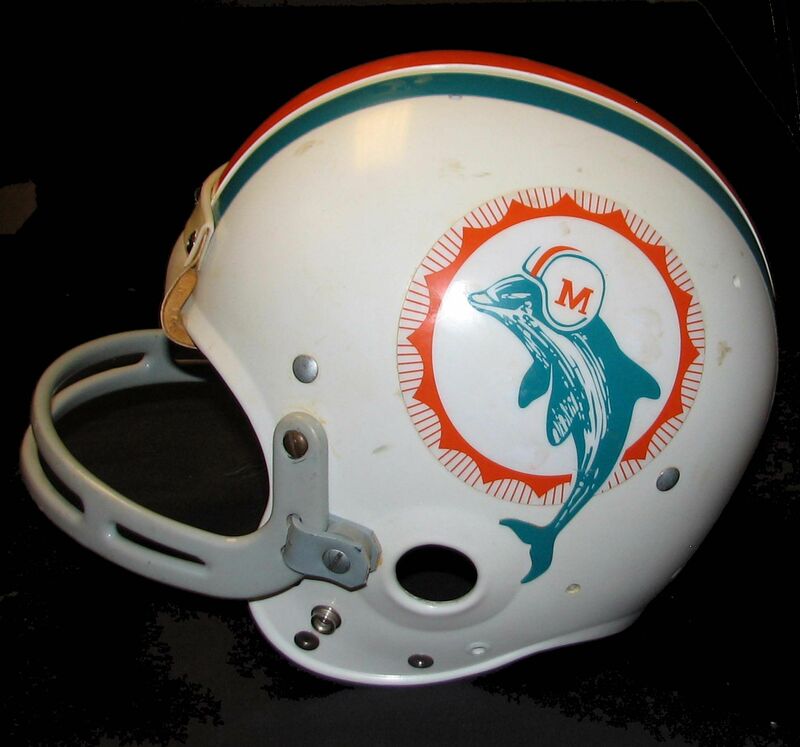 Originally sourced from Dolphins' equipment manager Dan Dowe, this is a serious piece of NFL memorabilia, in virtually MINT condition, that is worthy of a world-class collection and a fitting tribute to a true Hall of Fame legend! 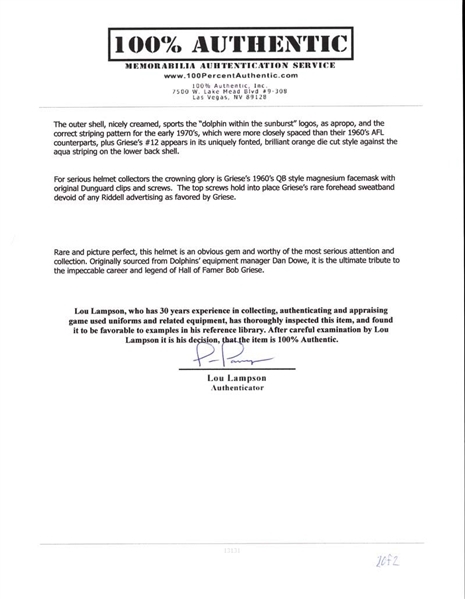 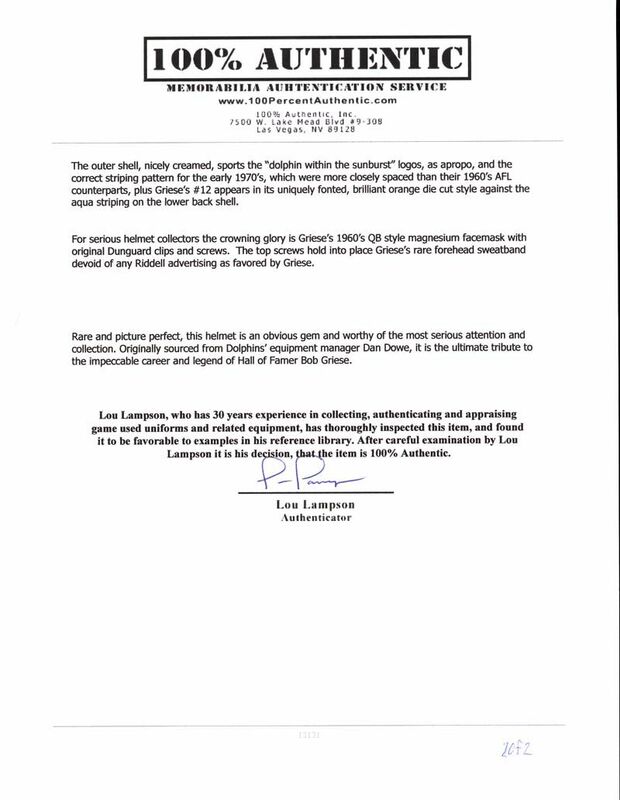 LOA from Lou Lampson/100% Authentic and Mile High Card Company.